Most men who have done it can tell you how difficult it is to grow a perfect beard. You need to let it grow till it hits that sweet spot and is just the right amount of thick. Then you need to care of it like a child every day and make sure that it doesn’t get scraggly or stick out in odd directions. Men who manage to grow good beards love their facial hair and for valid reasons too. A well looked after beard can make a man look like a model but unfortunately, beards aren’t all they’re made out to be. Some might think of shaving as blasphemy but there’s a very good reason why men should shave. If you’re a man with a beard reading this, would you be ready to shave clean if you were to find out that your beard is a haven for all kinds of germs and that even dogs don’t carry as many bacteria as you are probably carrying right now? As sad as it, science has proven it to be true. In just his beard, a man may be carrying enough germs to make him seriously ill. His best friend might actually be a lot more hygienic than him when it comes to a parasite count. 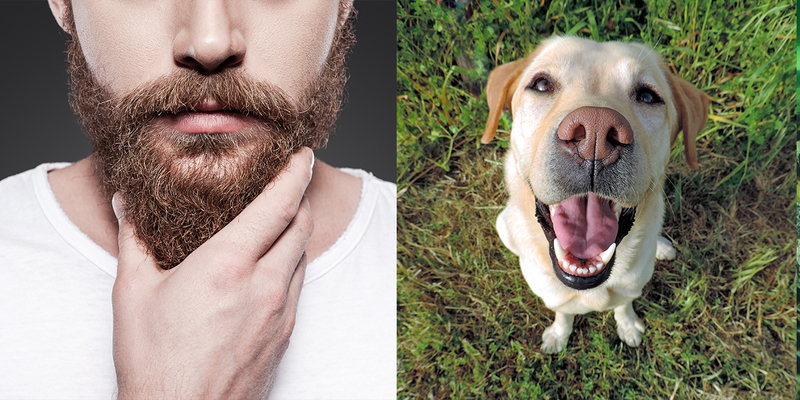 Scientists tested samples from the facial hair of 18 men and from the necks of 30 dogs which were a variety of breeds. According to Professor Andreas Gutzeit who works at the Hirslanden Clinic in Switzerland, there were a lot more bacteria in the samples that came from the men who participated in the study. Their conclusions showed that in comparison to men with beards, canines are actually the cleaner species. And not even the age of the men mattered. The 18 subjects ranged from a young adult to a senior citizen but they all uniformly showed shocking levels of bacterial growth. Out of the 30 dogs, about 23 had a worrying microbial count while the others were only carrying moderate amounts. True, there were fewer humans than dogs in this study, but that doesn’t take us away from the worrying fact that seven of those men were carrying enough germs to actually cause serious issues for their health. And it’s not like the rest were much better. And it only gets better. There’s an organization called the Beard Liberation Front, founded by Keith Flett, which has sworn to protect beards everywhere. Flett (obviously!) believes that even if different body parts were to be sampled, all kinds of dirt could be dug up. He doesn’t buy the idea that a beard by itself is not hygienic and he attributes the findings more to pogonophobia than to actual science. In case you didn’t know, pogonophobia is the official term for an irrational fear of beards, But now, the fear doesn’t seem very irrational at all. This study should make everyone wary about their facial hair and what they might be carrying around in it.
? More People Than Ever Are Ditching Single Use Plastics Thanks To The “Attenborough Effect” Followers Of This Religion Are Planting One Million Trees To Save The Planet ?